Tony Perkins' FRC Washington Update: If you want to engage in free speech, prepare to be taxed! That's the message from the IRS, where new documents are showing just how deep the roots of ideological corruption go. In the most powerful display of political profiling yet, USA Today leaked new paperwork proving that IRS was not only targeting conservative groups, but any groups that participated in "emotional" or "anti-Obama rhetoric." 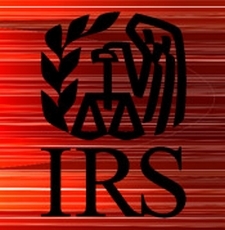 A whopping 162 groups were flagged by IRS agents for extra scrutiny on their tax exempt applications -- only 11 of them liberal. The scandal, which grabbed plenty of headlines when it first broke, fell off the radar during the Syria crisis. Unfortunately for the Obama administration, these new revelations are putting the agency where it belongs: on the hot seat. Rep. Charles Boustany (R-La.) made sure of that in a Ways and Means Committee hearing with acting IRS Director Daniel Werfel. "Four months after the IRS admitted to targeting applicants for tax-exempt status, there are still many outstanding questions about when the targeting started, who knew about it, and why it was allowed to continue." Boutany's goal -- like ours -- is to ensure this abuse never happens again. No one can be sure of that now, in an administration that uses the IRS as a hired thug to punish and silence conservatives. Ed Morrissey at HotAir.com is just one of the voices demanding accountability. "When the IRS starts targeting political dissent for scrutiny, they have stopped being a revenue collector and have become instead a political enforcer. That's dangerous for all Americans." If the IRS is going to wage a secret war against conservatives, then it's time for the House to wage an open one against corruption. Tags: free speech, IRS, taxes, threats, Tony Perkins, FRC, Family Research Council To share or post to your site, click on "Post Link". Please mention / link to the ARRA News Service. Thanks!